Voting is now open for APRA members to vote for the APRA Song of the Year. 2015 was a great year for Australian music with acts like Chet Faker, Cold Chisel, Tame Impala, Vance Joy, Troy Cassar-Daley and Hiatus Kaiyote bring real diversity to the year. APRA members now have until 5:00pm Tuesday February 9 to vote for the APRA Song of the Year. The APRA Song of the Year short list has once again revealed an incredible list of homegrown talent. 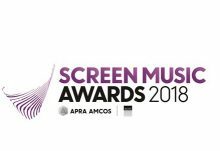 The 2018 Screen Music Awards have been announced with 12 categories for TV, online, film and advertising revealed. Nominees for the 2018 Screen Music Awards have been revealed with front-runners Antony Partos and Matteo Zingales leading the nominations in four categories. 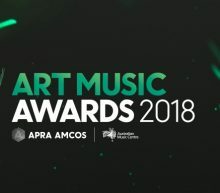 APRA has a vital position in the Australian music industry with the Art Music Awards. APRA is the one organisation that recognises that creative works to not have to fit within a Top 40 format. Curator, academic and musicologist Robyn Holmes will be given the Distinguished Services to Australian Music award at the 2018 Art Music Awards. Full list of 2018 Art Music Awards finalists follows. Paul Kelly ‘Firewood and Candles’ was won Song of the Year at the APRA Awards in Sydney beating out songs by Jessica Mauboy, Ainslie Wills, Amy Shark and Gang of Youths.